Doctor Jon Paul Higgins shares so many brilliant insights about the impact he is having on higher education through on-campus efforts and social media channels. 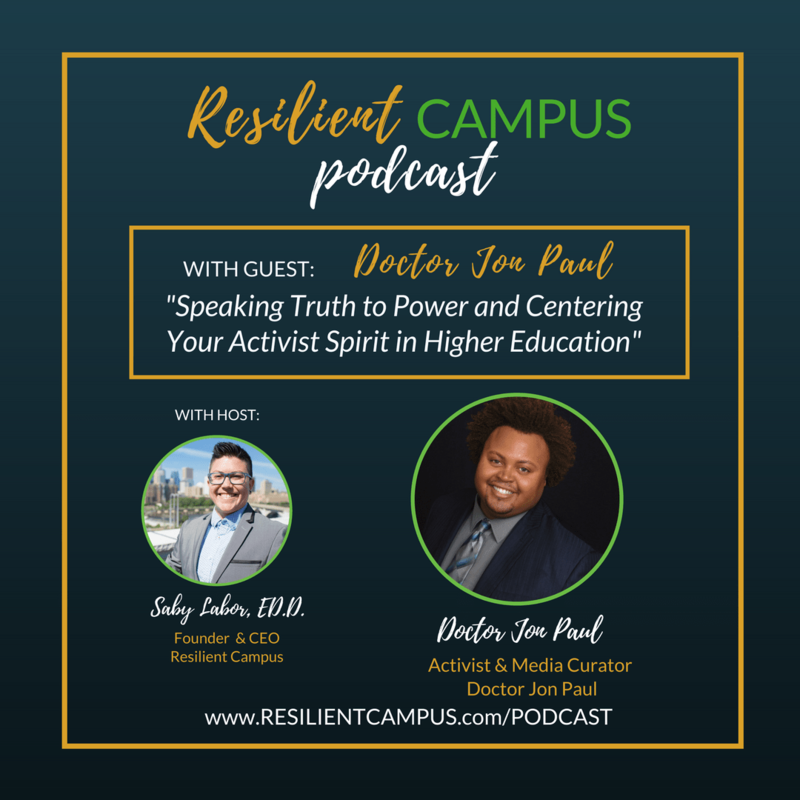 Through his brand, Doctor Jon Paul, he speaks to his viewpoints of education as a gateway to freedom, especially for marginalized communities, and the power accorded as a queer person of color with a doctoral degree. He speaks truth to power and frames his work through the understanding that “safety never saved anybody” in this work and elaborates on how this shows up when speaking to white supremacy, oppression, and racism on campuses. DoctorJonPaul is a writer, speaker, and social media curator. He has been featured on site like TheRoot, Blavity and most recently, Efniks. He has worked with Attn.com on topics related to the experiences of Queer/Trans People of Color and led a TEDx in April on the topic of moving oneself from fear to freedom. Find out more about Doctor Jon Paul’s work at http://www.doctorjonpaul.com.